When toll free numbers were first introduced, the only distinctive feature that made them a preferable choice was- a customer could make free calls, without paying extra, from anywhere within the country. This definitely encouraged customers to access business organizations easily, but the scope of toll free numbers was fairly limited. However, the service has matured significantly over decades, making it extremely popular in emerging markets like India. 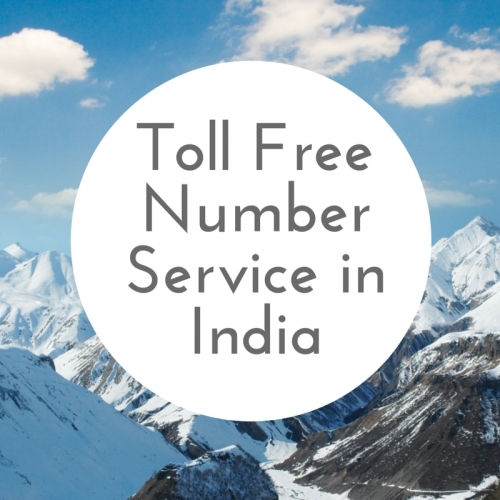 With multiple options like routing incoming calls and vanity numbers, toll free number service in India is viewed as a tool for expanding business all around the world. Here is how toll free service can support entrepreneurs in India, improving their brand image and bond with customers. There are service providers in India that have cloud infrastructure. These service providers offer toll free service bundled with advanced features like Interactive Voice Response (IVR). They also allow business owners to avail smart features like voice mail to provide better services overall. What’s better than advertising your products through your business contact? Vanity toll free numbers allow business organizations choose customized and eye-catching numbers that are easy to memorize. This definitely increases the probability of customers remembering you and getting back to you. Now with auto and manual number generation options, business owners have a huge helping hand to select their toll free number. Another advantage of using toll free service in India is you can keep track of your customers. With customized routing options, business organizations can monitor incoming calls as well as control all outgoing calls. With the recent advances in the field, a wide range of features and options, ranging from simple to complex, are available. Business owners can choose the routing system that suits their needs. With so many toll free service providers in India, service rates have come rallying down. Most service providers don’t have setup charges- it means you just have to pay for the services you are availing. Plus, you also have the option to pay for only those services that you need. How reasonable is that! To know more about toll free number & cloud telephony, please read our previous articles- Click Here.